The latest official report from the IELTS Organization showed that test takers from the top 40 countries scored on average below Band 6 (in Academic and General Training tests). At the same time most universities want you to score 7 or above - and most immigration laws require band 6.5 or higher. Yes, it is definitely possible. You CAN beat the statistics and raise your score to Band 7, possibly Band 8 - or even Band 9. IF you're willing to listen. ...there is NO magic way of getting a great score in the exam. Here is the formula: Your success depends on one thing only - the way you solve the tasks. The way you answer the questions and write your reports and essays. And people, who know the right way, get higher scores. But people who don't - score average or below. Good news is that anyone can learn the right way quickly and easily. Even better news is that in one moment you could have access to it. You are literally one click away from a book that is GUARANTEED to help you maximize your IELTS score. It helped thousands of students to score higher in IELTS, and it WILL help you - that's a promise. This book is 100% GUARANTEED to maximize your IELTS score and transform your exam preparation from chaotic and frustrating to systematic, productive and enjoyable. Between you and me, does this sound familiar? You must get a high score in IELTS, and have no idea how to do it. Writing a good essay is hard, because you don't have enough ideas and they take long to generate. By the time you have something to write about, there is not enough time left to finish your writing. You have trouble expressing your thoughts and the sentences come out just wrong. Graphs are difficult to describe because you have trouble analysing them (well, you're not a scientist, are you? ), and no matter how much you try, any report is taking longer than 20 minutes. How do I know this? Because I've been there, too. I know what it's like to always run out of time in the Reading test, because the passages are hard to understand and the questions are confusing. I know what it feels like to be a slow reader and always lose time, or concentration, especially if the texts are long. I, too, felt the frustration of losing points on grammar, because there is no time to check your answers. I understand the desperation of not being able to achieve you target Band score, no matter what you do. Just like you, I used to get nervous while speaking, worried about my grammar or pronunciation, and was desperately looking for the right word to say. You are not the only one whose English is often misunderstood by people, and who is convinced that unless there is someone to practice in speaking with, they will never get better. It's not just you, whose mind goes blank when you need to speak on a topic for 2 minutes, who's left with no ideas what to say or with no words in their vocabulary. And it's not just you who panics in the Listening section, when they go too fast, or speak with an accent, or because it's hard to concentrate and you're afraid to miss the answers. I've Had It All. And I Know How To Help. You are about to be given a step-by-step guide to IELTS preparation, that will transform your studying from frustrating, labour-intensive, long, boring and hopeless experience into an effective, focused and a much shorter one. At any step you will know exactly what you're doing and why, your confidence will grow quickly because of the results you will be getting, and you won’t be just studying - you will be preparing to maximize your IELTS score. Even if you're working 8am to 6pm, even if you're a student and have other exams to worry about, and even if raising a family takes away almost all of your waking hours - this guide will help you fit IELTS preparation in any of your busy days. And when you do take the IELTS exam, prepare to be surprised by your score - it might be higher than you expected. As I promised I am informing you about the result of my IELTS exam. Thanks again for everything that I have learned." I needed a 7 and I've got it! These below were my results. I needed a 7 and I've got it! I am really happy! Thank you so much for the preparation! ...Fantastic news: my band score is 8! I thought I would contact you to share the fantastic news I received this morning. I took the IELTS Academic test in London and I have just received my result. My overall band score is 8! For the preparation I accessed materials on your blog and used your book Target Band 7. I believe that without your help I would not be able to achieve such great result. Thank you ever so much. Your tips and book are a huge part of my success. I got total band score of 7. I got all 7 in reading, listening and writing. My speaking is band score is 7.5. Now I can enroll in university and further my nursing education here in Australia. I remember it was only 3 weeks before my test and I asked for your help. I was scared then and thought I would not make it in the test. The book explained everything clearly. Writing task became easy after I read your book. Every detail was being discussed. Thank you very much! "I have completed my exam and got 8.5 in IELTS Academic module. Without your help I don't think I would be able to do it. My reading was 9.0, speaking and listening were 8.5 and writing was 7.0. While preparing for the test I have been reading through all your e-mails. IELTS-Blog.com helped me overall to write better, speak better, read better and listen better. It was a great experience preparing for the exam and I am keeping the benefits of this preparation not only in the form of an IELTS report form with an excellent score, but also as improved English language skills for my professional and personal life. I just got my letter of offer from UNE for Graduate Diploma in Education. Thank you again." At first IELTS really scared me... but the book motivated me... and I made it! "TARGET BAND 7 - sounds simple, but means a lot to me! I've been looking at several books before preparation for my IELTS. I got so many review materials from a reviewer to practice materials, but when I heard about the book Target Band 7 - this book sounded great. And it really pleased me when I read a lot of testimonials about the book. I said, " I'LL SOON BE ONE OF THEM". And here I am now, proud to give my testimonial. Target Band 7 is simple, but contains true and significant information about IELTS. I found it very useful in my review. At first I was really scared to take the IELTS without a proper review in a review center, but the book motivated me to do it by myself. And I made it! I took the Academic exam, with the help of nothing but Target Band 7 book. I passed the exam, with overall band score of 7 and 8.5 speaking. For those who want to take IELTS, try this book...and prove it yourself, be the next person who will proudly write a testimonial. Thanks Target Band 7, I owe you one!" Band 8.5 with 9 in speaking... Fantastic! 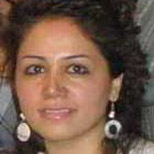 "I scored a band 7 when I first gave my IELTS with a 6 in writing. I was absolutely disgruntled, but tips from successful candidates encouraged me to reappear for this exam. I made another sincere attempt to achieve band 7.5 with a respectable score in writing. Conversely, my result went beyond my expectations as I got an 8.5 in the academic module with 9 in speaking. This was absolutely astonishing and there were no anticipations associated with the result. So you and the book Target Band 7 deserve a huge round of applause from all those who have benefited from you. Thank you for coming to my aid." Nikonian took IELTS 3 times. The first time, before Target Band 7, he scored 6.0 overall. 1. Listening: Nervousness, panicking, couldn't concentrate. He was very nervous during the first 10 minutes of the test, wasted time, lost concentration and couldn't answer the easiest questions in the first and second sections. 2. Reading: finding answers took very long and was confusing. 3. Writing: not enough time to review the written work, spelling mistakes, poor task structure. 4. Time: working full time Nikonian barely had time for IELTS preparation. "It is a fantastic book and the best summary about how to beat IELTS I've ever read! Previously, I took IELTS two times, but I've never got 7 for any section (ashamed!) Since I read your book, I immediately scored 7 overall, but it was not enough for me - I was required to get 7 in all sections (my writing was 6.5). I took another exam shortly after, and my overall score was 7.5 with all bands 7! I did not attend any IELTS test preparation course. I also didn't have much time for preparation because of my full-time working commitment. I had only 3 hours per day within 3 weeks for my preparation between the last two exams. So, I can say my knowledge of English was not much improved by that time, because the interval between exams was too short (theoretically, we can only improve 0.5 IELTS band within 10 weeks of intensive preparation course). Most of the time I just read your book. And I made it! Thank you very much. This book has very useful information that you won't find in other IELTS textbooks. "This book is concise, yet has very useful information that you won't find in other IELTS textbooks. In the listening section I find especially helpful the exercise on names/numbers spelling. I asked my American roommate to record the names and numbers given in the book and trained myself until I was able to think about letters and numbers in English and not in my native language. I also liked the strategy for the first assignment of the writing section (report). I learned the names of all these figures (charts, graphs, tables and diagrams) and how they differ. In this book each type of figures is explained separately and there is a sample essay for every type. I've never written such a report even in my native language, since I major in legal history and we've never worked with such data. At first I thought I would never be able to write such a report. With the help of the book I learned how to interpret this graphs and charts, to see their structure and organization and to describe them properly. There are a lot of examples of graphs, charts, etc. and many practice tasks as well in this book. This is exactly what I was looking for and what is not well done in other IELTS textbooks. The speaking section contains very good hints and examples too. Sample answers give a very clear idea of how one should speak at the test. There are also dozens of practice tasks many of which one could have at a real test. I also liked tips about the behaviour that helps to make a good impression on the examiner." ... The target was Band 8 - but I scored Band 9 in the test! "I wanted to express my gratitude to you and your team for the work that you have done and are doing by putting together the IELTS-blog and the book 'Target Band 7'. The information in the book and from the website have helped me not only to reach my target of 8 but do even better and score a band 9 in the test! I was quite amazed when I got the results back the other day and I know that reading your book and all the tips from the website and the daily emails have helped me achieve this, mainly by getting familiar with the test structure, omitting all the traps, and getting some practice with all of the parts of the test. " ...I managed to score 7. The writing tips were most handy. I managed to score 7 in Writing and Speaking, whereas Listening and Reading was 6.5, but the overall band was 7. I applied almost all your tips to the test. The most useful tips were the reading ones and the paraphrasing ones (which were my weak points). Also the report writing tips were of great help. The essay writing tips were most handy." I only read your book "Target Band 7" for one day, did one practice test and then got 6.5 overall band score. A thanks from Vietnam. I'm a 18 year old boy who has just taken IELTS. I only read your book "Target Band 7" for one day, did one practice test and then got 6.5 overall band score. Many thanks for your help!!! Most of the tips in Reading & Listening parts did help me a lot. The most useful section in your book is the Pocket Tips. I think we only need tips in that 3-page section to achieve a good result. The other sections contain explanations in order to help us understand tips in this section. The book gave me many experiences that I normally would have to do a lot of practice tests to obtain. Time was one thing I didn't have, and your book is great for guys like me :) "
...overall score of 7.5. All I did was read your book. I had an overall score of 7.5. All I did was read your book and it really helped as there were simply no surprises in the test. I could have obviously got a much higher score had I followed your study plan but I simply did not have the time. I have started a new job and am working on a multitude of projects at the same time, hence with the little effort I did put into the IELTS test I am happy. I find your book the best source, because it showed me how I must work. I find your book the best source for IELTS because it showed me how I must work. Listening - all tips were wonderful and helped me more to improve my listening. When I started to read I had more problems than with any other skills, I could not do it in 20 minutes, So first I read your tips and I started to do one test each day and during the day I worked on my problems. Writing - I wrote your examples a million times or even more during one month. After that I understood what it are the main things to describe. In IELTS exam I did not have any problem!" ...I started to understand how to construct an essay for IELTS. "I'd like to say thank you very much for your book of "Target Band 7", it was really helpful to me and I will definitely recommend this book to my friends. - Writing task 2 - actually from this section, I started to understand how to construct an essay for IELTS. - 21 days timetable (in fact, I studied according to this plan before I took the test)." I received my IELTS results and they were much better than I expected. I am Band 8! I am Band 8: I've scored 8.5 in Listening and Reading; 8 in Speaking and 7 in Writing. And I was so afraid about not being able to reach 6.5! Just for the record, I could have done better in the Writing section, but I miscalculated the time. I have nothing left to say, but thank you for your great work." ...your book was really useful, especially the tips for the reading test. "My overall was 6.5, 6 in writing and reading, 6.5 in listening and 7 speaking. I would like to say thank you, your book was really useful, especially the tips for the reading test. I got 7.5 in Academic module, applied for and won the scholarship! I got 7.5 in Academic module, applied for and won the scholarship! I'm so happy, I wanted to thank you. Target Band 7 helped a lot in my preparation; it is very useful for those short of time for preparation. Everything in the book is easy to understand and includes the most important things and tips. I find it to be very beneficial for those who do not like spending much time preparing for IELTS. I used other lots of materials from the web, but this book was the only one I used when I needed to repeat the material. Especially, I liked the "Writing" section, where everything is written precisely and the expressions, phrases for each kind of graphs are given. It helped me to overcome difficulties with writing as it was my weak point, I learned to write in a logical order and a great deal of conjunctions to use. Also, I liked that the answer sheets that are given, because I was worrying that I did not know how it looks and was afraid to make mistakes while writing the answers. In addition, there are sample reports for each kind of graph and we are provided with lots of topics to practice speaking and writing"
I only had a week to prepare for the exam... I got 7.5!
" Target Band 7" helped me a lot in my IELTS Exam, especially in writing category. The last time I took the IELTS I only got 6.5 in writing and so I wasn't a able to meet the required score (minimum of 7). Fortunately, while I was searching some reviewers in the internet I found the IELTS-blog website and so I grabbed the opportunity to get the e-book. Actually, I only had a week to prepare for the exam. When I received the result, the first thing that I noticed was my writing score. It was really an achievement because I got 7.5! Thanks for Simone's tips! They really work! ...surprised and pleased by the outcome - Band 8.5! Yesterday I received my result and was very, very much surprised and pleased by the outcome - Overall Band Score 8.5! I just received my IELTS results and I am quite happy! I've got an overall band score of 8. Personally, I can say that your book was so fundamental to my preparation that without it I think I would barely receive a 6.5. It has an excellent approach and I've already recommended it to all of my friends who think about taking the IELTS. ...I am sure you can achieve your score in IELTS with Target Band 7 because I did it!!! "For the reading my biggest problem was, as for everyone else, the TIME. The 15-20-25 rules, the map and the fishing, even the scan advice gave me the time to finish the whole passage in time, even go back and check the answers again got me some easy points. In Listening your advice helped a lot with listening carefully the speaker will give a stress for the answers and do not over-thinking. Finally the Writing was my 'bogeyman'. I was totally scared of the essay and even of the report, but after twice read out your comments, it looked a bit easier. I wont lie, the first 3 reports were very hard for me, but after that I had a clear picture of what it should look like, and I memorized four or five sentences and some additional words, it went much easier than I thought, and the same happened with essays as well. P.S. With 3 hours a day over 21 days I am sure you can achieve your score in IELTS with Target Band 7 because I did it!!! Are these test takers any different than you? No, they are not. They are regular people with different English skills. The only thing they did was to put their doubts aside… and give this e-book a try. If you, too, can simply put your doubts aside for a short time, you can see for yourself what it's like to get a score in IELTS you never believed was possible, and to have your friends beg you "Please teach me too!". What makes me think I am qualified to help you? Hi. Allow me to introduce myself properly. My name is Simone Braverman, I am the founder of IELTS-Blog.com. I help busy people whose English is far from perfect to score high in IELTS (higher than they ever expected) after a short preparation in their spare time - even if they scored low previously, have a learning disability, too busy working 7 am to 7 pm or are afraid to death of exams. And I've been doing it for 10 years. You see, I've helped people from all over the world study, prepare and score high in the IELTS test. By implementing just a few of my proven techniques ordinary individuals became high achievers. When I was preparing for IELTS back in 2005, IELTS-Blog didn't exist. In those days there weren't many websites for IELTS preparation. So I created it, thinking - if I need an all-inclusive resource for IELTS preparation, there will be other people who need the same. 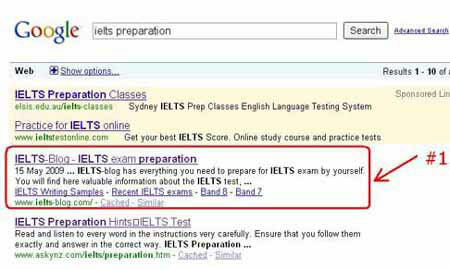 Now IELTS-Blog.com ranks #1 for "IELTS preparation" in Google - obviously because the world's smartest search engine considers IELTS-Blog the best resource on IELTS preparation. Over 30,000 people are subscribed to the IELTS-Blog's daily tips and updates. My e-books were downloaded over 352,000 times. My books 'Target Band 7' and 'Ace the IELTS' repeatedly appear on Top 10 IELTS Books list published by TestStudyGuides.com, along with the books of very big and well-known publishers such as Cambridge and Barron's. In 2013 IELTS-Blog was visited by over 4 MILLION people from all over the world who downloaded over 13 MILLION pages. IELTS-Blog won People's Choice Award in the Best Australian Blogs 2014 competition held by the AWC. British Council is happy to recommend IELTS-Blog in their resources list. My articles were featured in well-known internet websites, such as About.com and Examenglish.com. "As an English language teacher who teaches IELTS students, I must say that I am extremely impressed with this book. It contains important information to help students in all areas of the test. The book is based on a lot of research which has been summarised by the author so it is easy to read. 'Target Band 7' is a worthwhile investment for people who want to do their best in the IELTS test.I highly recommend it. "Target Band 7 breaks new ground in the IELTS materials market as its author has actually taken the IELTS test and achieved a high level! This makes the many explanations and tips really relevant and user-friendly and helps to connect the reader to the writer in an authentic way. The book is organised into many, manageable sections, and written in a personal style, making the excellent suggestions for increasing an IELTS score easy for non-native speakers of English to access, read and to absorb. Definitely a welcome resource for busy test takers." - Stephen Slater, Centre for English Language in the University of South Australia. For books by Stephen Slater visit https://www.ieltsontrack.com. My books, published on Amazon.com, America's largest online bookstore, attracted a 5-star rating , (much better than Cambridge books' rating, by the way). Guess what book comes up #1 in a search for "ielts academic"… that's right, Target Band 7. This is the MUST HAVE book if you are preparing yourself for IELTS. "I always thought IELTS is about proficiency in English but i was wrong. IELTS is all about techniques and strategies in answering the 4 components of IELTS. I have purchased the e-book a few months ago but didn't have time to sit in front of the computer quietly to study. With the hardcopy available now, i can bring it along wherever i go and it's really handy. 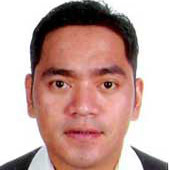 It not only provides me with the necessary knowledge to sit for the IELTS but also improve my English generally. Thanks Simone for writing this book and i highly recommend this book if you are preparing for IELTS." "This book is very helpful. It approaches the 4 skills very well. It is a very easy book to understand with an easy language, it is very specific and the tips helps you to go strait to the point this way you do not lose your precious time. This is the most important thing in this test. I could improve a lot the 4 skills, I am writing much better and faster, with the links for exercises I could improve my reading and listening, and following the tip of the book I recorded my speaking and could see my mistakes. Also the price is fair, not like the other materials, which are so expensive. And Simone answered all my questions very quickly, so I had more support than I thought." So yes, I CAN help you maximize your score, because... first, I did it myself - it allowed me to migrate and live in Australia, a wonderful country which now I am a citizen of. Next, I helped my friends and family ace their IELTS exams and get their visa processing and university applications under way. My best friend has received his PR visa to Canada, another very good friend was accepted into the Harvard University, and my brother and his girlfriend were granted permanent residency visas in Australia. All of them passed IELTS with a higher than required band score, and needless to say, they were all using my books. Last but not least, I have been helping thousands of students to succeed in their IELTS exams since 2005. ... got a great score with your help and support. I have finished my IELTS and got a great score with your help and support. Thanks. To be honest I have studied in English all my life so my command over the English language was pretty good anyway. I had only a weekend to read your book but I found it was useful to know what was expected in the IELTS exams. I've passed the IELTS exam! All your tips served me as a guiding tool to take my IELTS with confidence. And here's the good news: I've passed the IELTS exam! Thanks a lot and God bless you! ... got more than 7.0 which I really needed! I got overall 7.5 with all parts more than 7.0 which I really needed! Your e-book and IELTS-blog was really helpful to prepare it for a short time. All the tips in your book were a big help to me, especially in reading and listening. On my first exam I didn't know how to approach the reading part so I wasn't able to finish and ended up guessing the last part. But this time I am satisfied with my reading part." ... I had no terrible surprises! "I saw by Internet I scored Band 7 and I am very happy! Reading the book I got confidence to do the exam. The tips helped me to get a better idea of the test and how to use the time wisely. In particular, the numerous examples of possible speaking subjects also made me feel comfortable to face the examiner. Furthermore, several writing tips were useful as well. I had no terrible surprises!" ... my wife has achieved the desired band score. We are very glad to inform you that my wife has achieved the desired band score. Thanks to Target Band 7. We are really grateful to you. We are in joy celebrating the success. It enhances a giant leap in my wife's career. I would surely recommend Target 7 for all our friends who are struggling with ielts... Thank you again." I am pleased to inform that i have cleared my ielts with a band score of 8 in academic module. As a doctor I need 7 in each component. Thanks for your encouragement. TARGET BAND 7 was very useful book. " ...believe it or not, you have changed my life as I now qualify for PR in Australia. "I am thankful to you, believe it or not, you have changed my life as I now qualify for PR in Australia. I got 6.5 in IELTS exam. My friends couldn't believe. Your book helped me to reach this achievement. Mehdi N. is a 26 year-old student from Iran, now studying in Malaysia. Six months ago Mehdi didn't speak one word of English. Here is what he remembers from his trip to Malaysia: "I remember that when I was in airplane, I couldn't understand anything. I wanted to change my seat, but I couldn't speak about that. Now I got 6.5 in IELTS exam. My friends couldn't believe. Your book helped me to reach this achievement. I am a doctor by profession... My overall band is 7! I am a doctor by profession and had to take IELTS to migrate abroad and to get registered with the medical counsel there. I started preparing only one month before my exam. My overall band is 7! I'm happy that I could achieve this result. Target band 7 book helped me a lot, specially to improve my writing skills. I followed all the instructions and tips given there, read sample answers again and again to get an idea of what kind of an essay and graph they expect us to write to achieve band 7, and I practised most of the reading and listening tasks given. ... I did it! I can be a teacher in Australia! I am a South African who lives and works in Taiwan. I am planning to move to Australia, and be a teacher there. I did a test few weeks ago and my scores were Listening: 9, Reading: 8, Speaking: 8.5, Writing: 6.5. So because of my writing I could not apply for teaching in Australia (needed Band 7). This time, (after studying with Target Band 7) my scores are as follows: Listening: 9, Reading: 9, Writing: 7, Speaking: 8.5, overall band score: 8.5. So I did it! I can apply for Australia!!! Thank you very much for all your help, for all the tips and exercises. It helped a lot! I needed Band 7 to register as a doctor in Australia ... that book really helped me in accomplishing my goal. Hi Simone, I have good news to tell you. I cleared my IELTS at first go. I got 7.5 in listening, 8 in reading, 8 in speaking, and 7 in writing. I have passed IELTS with 7.5 bands after failing twice in OET. You don't know what you have given me! I am a doctor and I needed 7 in each skill in Academic IELTS to register myself as a doctor in Australia. I read your book Target band 7, and that book really helped me in accomplishing my goal. I am very thankful to you. I would advise everybody undertaking IELTS to read that book - it can really do wonders. IELTS-Blog and Target Band 7 book! "Hi Simone, it's going to be a great weekend for me! Let me share with you why: Speaking 8.5, Listening 8.5, Reading 6.5, Writing 7! Overall: 7.5!!! I am so so happy! And it's all because of your IELTS-Blog and Target Band 7 book! Thank you so much. I am grateful! Now I can continue with my professional life with great confidence!" "I got 7.5 in Writing and 8.5 in Reading, Listening and Speaking. I think your book is excellent and so simple to follow and practical. I've tried other books before and they were just so complicated and just made me more confused. I thoroughly recommend your book to the IELTS examinees because it has helped me overcome my problems with the Writing section in particular. Prior to this my overall score was not sufficient, but now I have achieved an overall score of 8.5 which enables me to pursue my career further. My thanks once again for the help that your book has given me. " "When I first learnt I had to take the test I didn't think it was that big a deal, so I signed up to take the test within a month. Then I realized that it was a really hard test that you had to study a lot for. Luckily, I found IELTS blog and it helped me to get band score 7 overall and 6.5 in Listening and Writing, 7.5 in Reading and 8 in Speaking. Before I began to practice with IELTS blog I had an overall band score of 5.5. I felt secure when I took the test, I always knew what to expect, and that enabled me to do my best." No one needs to go to coaching centre to get a good IELTS score, if they have "Target Band 7"
"Today I got my IELTS result. It was better than I expected - I got overall band score 7! When I got your book and went through it, it made me confident about the IELTS exam. You pointed out most of the important things one might face in an exam. The language of your book was very easy to read and understand. Instructions for listening section were just great. If one can follow your instructions he or she definitely will get score more than their expectation. I was worried about reading section. But I tried to follow your instruction not to read the whole passage rather scanning the passage and creating a map. Your routine of 21 days was great help for me. I tried to maintain this routine. It helps one to focus on every section equally. No one need to go coaching centre to have a good IELTS score, if they have "Target Band 7". Your book made me feel relaxed, raised my confidence, and showed me a very simple way to do better in IELTS exam. I would be happy to suggest your book for everyone who wants to take IELTS exam." It will get you ready for IELTS in one month or less - that's a promise! Only because after you have read it - there will be absolutely NO SURPRISES: you will know exactly what you need to do, when, why and how. You will get into your examiners' head and understand completely what they want to see. Only because it was tested on many students with different English skills, who achieved their target score after just 1 month (or less!) of studying with it. So what's in the e-book? There are four chapters that cover all the skills: Listening, Reading, Writing, Speaking - everything that matters, everything that affects your score is explained in those chapters. There will be no surprises in your exam. The format of the exam is described and explained - after you've read the first pages of the book you will know what sections there are, how long each section takes and what you need to do in each section. The full IELTS practice test in the book will be a great chance for you to see what the real exam is like, and to practice before it. Read this e-book in any order you like, the chapters are completely independent, so you can skip a chapter and come back to it later. If you're good at listening, but need to work on your writing, you can go straight to the Writing chapter and study it first. You can read this 92-page e-book in one day - in case you are time-poor and have found this website just days before your exam. It WILL help you in any case, just know this: the more you practice according to the tips in this book, the better your score will be in IELTS. Your e-book is a PDF file that can be read on any computer, laptop or mobile device (iPod, iPhone, iPad, Blackberry, etc). Take it with you anywhere - no matter what computer you have at home, at work, in your college or university, the e-book will work. OK, Simone, but what do I really learn? You will find out what Writing Task you should do first to maximize your score - Task 1 or Task 2 - and why it matters. This is something most people don't even think about, yet it works like magic. You will learn about most common mistakes that many IELTS candidates make, which cause them to lose time and marks. These are the easiest points you will ever earn - because you will be earning them by NOT DOING things, and not doing is much easier than doing, isn't it? Once you give the writing techniques you learned a try, you will become a confident writer, because you will prove to yourself that writing an essay on any topic and a report about any graph is not a problem for you any more. - how to count the number of words in your essay quickly to make sure it's long enough. These are little things, but they add up and give you the result you want - a great score in Writing. You will see beyond any doubt that you can be awful at Mathematics or Statistics and have zero analytical abilities - yet still be able to write a good report. You will be walked through all the types of graphs used in IELTS and will be given examples for all of them. You will also get sample answers of all the types of graphs, charts, maps and tables. You will learn to quickly analyse any graph you might get - a single line, a double line, a bar graph, a pie chart, a plan or a map, a table or a process diagram, how to spend less time analysing and more time writing. You will understand how to structure your report and what to do if there's too much information - how to compact it and still get the report written in 20 minutes. You will be taught how to write a grammatically correct report that uses the correct tenses, rich vocabulary and creates a good impression. There will be plenty of practice exercises for you to do. You will find out exactly what your examiners consider a good report, why they would give you a certain score of and how you can get a better score. You will find out that any essay topic you might get in IELTS belongs to one of 3 topic types, and how to write an essay on each topic type. You'll get an explanation of the structure your essay should have to get a good score. You will be taken step by step through the process of writing an essay. From the very beginning when you read the topic, to the classification - which type it belongs to, and then how to come up with ideas for contents to write quickly (in under 5 minutes), next how to make a quick plan and how to follow it, writing just the right amount of words. You'll learn to write enough to get the score for words limit, but not too much - to avoid losing time on extra content that doesn't counts toward your score. You will get a list of phrases to use in your essay to make it look good. That includes elegant ways to agree or disagree with a statement, to deny, to conclude, to compare or contrast.There will be plenty of practice, with the topics taken from recent real IELTS exams. You will be able to prove to yourself that 40 minutes are enough to write an essay of 250 words on any topic they throw at you. Once you've learned the detailed test format, nothing will surprise you. You will be taught about all the 8 types of tasks you can get in IELTS, what you need to do in each, and what your answer should look like. You will master time management and will always finish on time, thus leaving no questions unanswered and driving your score up. You be trained to scan and find answers quickly - even if you're a slow reader. You'll learn what keywords are, how to find them and how they lead you to the answers. The unwritten rules of where the answers are located in the passages will be revealed to you (and yes, there is a pattern!). You'll discover how passage layout - meaning the number of paragraphs - can help you find answers quickly and accurately. You will know what to do when you're stuck on a task. Concentration won't be a problem any more - you will know where to start in any kind of passage and will have a list of things to do, to keep you focused. The True / False / Not Given questions will not confuse you; the answers will become crystal clear. You will have a strategy for Multiple choice questions and Gap-fill tasks. Headings matching tasks will no longer take a huge portion of your precious time. You will be given the techniques for avoiding traps and for dealing with tricky questions. You will understand how making assumptions and over-thinking can harm your score, and how to stop doing it. You will get links to online exercises to instill all the tips you've read in your mind forever. You will even learn how to use your mistakes to your benefit - a very powerful technique, not known to most people. You will learn about all the 3 parts of the Speaking test: Interview, Cue card and Discussion, what happens in each part, what kind of questions to expect and how long your answers should be. You will go through a list of sample questions and answers - to demonstrate what you need to aim for. You will learn when to speak and when to stop, to allow the examiner to move on to the next question, so that he doesn't feel pressed for time. You will get an exhaustive list of possible questions and topics that appeared in the past IELTS exams (and these topics repeat a lot!). All you need to do is to think of something to say on these topics, to make sure you have the vocabulary. This way you will never be in a situation when your examiner asks something and you're suddenly "speechless". You will be taken step by step through a technique to develop your speaking skill - studying on your own, alone, all by yourself, without a teacher or a partner. It will help you succeed in becoming a better speaker even if you don't live in an English-speaking country, don't speak English at work or at uni - it doesn't matter that English is not your first language. You will learn how to improve your pronunciation, for people to understand you better - which will give you more confidence in Speaking. You will be given solution to all the possible nightmare situations when you miss a question, don't understand it or don't have anything to say about it. Failure will simply NOT be an option for you. You'll learn what are the 9 types of task you can get in the Listening test, including what kind of answer you need to provide for every task type, how many words you should write, and whether you need to tick a box or circle the correct answer. You will be given tips how to develop your listening skill that are proven to work - even if it's your weakest skill. 1) Avoid missing answers by keeping up with the recording, even when it goes fast. 2) Quickly recover when you've missed an answer - to avoid missing the following answers. 3) Ignore distractions and keep your focus. You will be able to recognize clues to the answers and solve all types of tasks in the most time-saving way. You will find out what kind of traps there might be, when synonyms or generalizations are used to confuse you, or when the speaker is taking back something that was just said. There are tips how to use instructions in the booklet to avoid making mistakes that cost you marks. You will learn how to guess efficiently, how to eliminate wrong answers and increase your chances of success by 20%. You will know when and where spelling and grammar are important. Even copying answers to the Answer Sheet will become an opportunity to increase your score because of the techniques you will learn. NEW! A complete IELTS practice test is now part of the book (and you will get more tests as a free bonus!). The test includes Listening, Reading, Writing and Speaking sections, a Listening recording and transcript showing the answers in sentences, a sample Speaking test recording with a transcript and an examiner's commentary explaining the estimated band score. The answers for the test include model responses for Writing Task 1 and Task 2. You will get Pocket tips to bring with you on the day of your exam, to quickly go through all the important techniques and refresh everything that matters in your memory. You will be given a 3-weekly step-by-step study plan to make sure all of your skills are in the best possible shape on the day of your exam. This study plan will help you make the most of your studying hours. No time will be wasted and you will be getting progress every day. No more procrastinating, wondering what skill to concentrate on or what task to practice - just follow the plan. Common mistaken beliefs - is this what YOU think, too? "I don’t need ANOTHER book for IELTS." The truth is that YOU DO. This is not your typical IELTS book. This book is written in simple English for everyday people. Many other IELTS books require a certain level of English, just to read and understand them. Instead of helping you, they distract you from your main goal, which is to get a high score in IELTS. I am not trying to impress you with all the smart words I know - my mission is to make sure you score the best you can in IELTS. This is why anyone who has enough English to manage living and working in an English-speaking country can read and understand my books. "My English is excellent; I don't need a book to prepare for IELTS." Attention all native English speakers, future IELTS examiners, English teachers or IELTS trainers: even if you were born and raised in an English-speaking country, or teach English for living, the truth is that you DO NEED this book - well, if you want to get a fair score, that is. If I had a coin for every time a native English speaker told me "I wonder why my answers were wrong, I was convinced they were right! This is so embarrassing…" I'd be filthy rich now. Another reason is the crushing factor of time pressure - and we all tend to panic when there's not enough time, no matter what our first language is. In IELTS you need to do things FAST. Of course you would get all the answers right, if you had the time. But the reality is that there are a lot of questions to be answered, a lot of writing to be done, and very little time to do it. "This book is no more effective than any other book." Not true - IT IS more effective. The main problem of many IELTS candidates is that they focus on things that don't matter. As people are busier today than ever, time became a precious commodity and we have limited amounts of it. People, who spend their time on things that have the biggest impact on their score, get better marks. This book shows you what you SHOULD and should NOT spend the time on, thus maximizing your chances of getting a high score. "I already have your Ace the IELTS book, I don't need Target Band 7". This is incorrect. If you are studying for an Academic IELTS exam, the right book for you is Target Band 7, because Ace the IELTS deals with General Training module of IELTS and there are many differences. "If I have questions, no one will guide me." Not true. I am personally committed to helping you, which is why I am working 7 days a week to be available for you, when you need me. Not just me, but the whole team of the IELTS-Blog evaluators is working 6 days a week to help you find out what your mistakes are and how you can score much, much higher. So, How Much Does This Book Cost? What price would YOU put on something that opens a door to your successful future? What price would YOU place on something that removes the one factor that holds you back from achieving your goals and living your dreams? Having seen how powerful "Target Band 7" is, I think you'll easily agree that it's worth the price of a $100. Just do the math. It costs around $300 to take the IELTS test (the fees vary from country to country). If this book saves you from taking the IELTS test twice, you have already got a 200% return on investment. Not bad, ha? What else do you gain? The TIME, that you don’t have to spend "fishing" for information all over the Internet, trying one ineffective course after another only to see that they don’t work, trying to understand what is important and what’s not, trying to find a source of free practice tests and so on and on and on. That time you could spend on what really matters - your family, your friends, yourself. I know that for a fact because I’ve been there. It made me realize how important it is to have it all - tips, techniques and practice - in one package. But you're not going to pay $100 for Target Band 7 today. You're not going to pay even half of that. If you're one of the first 175 people to purchase this book, you will invest only $40.95. ... Why would I limit it to 175 people? Because the e-book comes with a bonus of my personal support and there is a limit to how many clients I can personally help with their IELTS preparation. To provide you with my personal best support I can only guarantee this low price and these specific bonuses to my first 175 students. So, yes, I am limiting the number of copies with this set of bonuses to 175 only. Once they are gone -- that's it. You will have to act quickly for sure. Eventually I'll probably have to remove some of the bonuses or raise the price of the book. So, don't wait too long...you must act now to lock in the low introductory price and the ongoing training bonuses! 1. It's an absolute bargain when you compare it to the cost of the other IELTS study books. Which doesn't make it any less effective. It just makes me a person who under-prices her e-books. Consider this a huge discount and save the money for your future studies, visa application fees or use it to register with your professional organization. 2. It's an absolute steal when you compare it to all the strategies and techniques that will help you score beyond what you believed was possible and finally leave IELTS behind you. 3. It makes it more affordable for almost anyone to invest in, especially for people struggling with their exam preparation who need this e-book the most. 4. It's still priced high enough to make sure I only have serious students investing in my e-book, to leave all the curious but too lazy to act and indecisive freebie seekers out (well, they would never use it anyway). ... and then compare it to investing $40.95 in this e-book and how it can help you avoid unnecessary failed exams, shattered confidence, endless studying... FOREVER. There Is No Risk. The Investment is Small. But Your Returns Can Be Gigantic. But, even with discount, I want to prove you how serious I am about being able to help you with your IELTS preparation and maximize your score. I am going to back my promise with my money. I GUARANTEE your IELTS preparation will be transformed into more efficient and your score will be maximized, or you get your money back. Use Target Band 7 risk-free for 60 days (of course the book is yours forever, but in the next 60 days you can claim a full refund for it). Read the guide, do the exercises, follow the strategies and techniques, and consistently apply this to your preparation for the next 60 days while documenting your before and after results. If you do not improve your results and do not raise your IELTS Band Score, then I will not only refund your purchase, I will also give you $100 cash back out of my own pocket. Why am I willing to risk so much? Because I believe so strongly in what this information can do for you. I have seen so many other people, just like you, dramatically improve their score in just a few short weeks. You can do the same. Download Target Band 7 today. Get access to all the techniques, tips and advice, training materials, sample tests, resources, even the FREE BONUSES. Put Target Band 7 to test over the next 60 days. And, if your preparation wasn't transformed, simply let me know and you will get a complete refund. Plus, if at any point you don't feel that Target Band 7 is the solution that will achieve you the score you need, just let me know and you will get a complete refund. Insider information - get the unfair advantage of learning from an IELTS Examiner how to raise your score by at least One Whole Band. An intensive course on maximizing your IELTS score by creating a positive image in your examiner's mind, 64 pages of tips, techniques and examples. Have your Speaking skills assessed with a special 25% discount. You will be guided step by step to help you record yourself answering real IELTS questions and our evaluation team will send your personal report with suggestions how to score higher to your email. Pay only $5.95 (everyone else pays $8). Get a massive 45% discount when sending your writing tasks for assessment. 4 tasks of your choice (essays, reports or both) will be graded and returned fast (in just 24 hours!) by a team of experienced IELTS teachers, including an approximate IELTS Band Score, remarks and suggestions for only $17.60 (everyone else pays $31.95). The book comes with my dedicated support. Ask me any question you've got, any day, any time - get your answer in 24 hours! 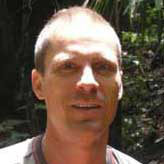 Drop me a letter to simone[at]IELTS-blog.com and I will do my personal best to help you. Look, if you're still reading this letter so far down, chances are that you know you need to learn how to prepare for IELTS in a specific way that will maximize your score. Without that kind of a focused preparation you're losing the marks that are rightfully yours. You are losing money on unnecessary exams. You are losing time on preparation that could have been spent with your family and friends. Take action now. 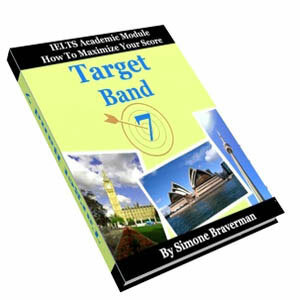 Get your copy of "Target Band 7" and get the IELTS score that will make your dream a reality. Because you deserve it. Click on "Buy now" button below, fill your details in the form, submit, and you will download the e-book and bonuses in less than a minute. You do not need a PayPal account - use a credit card to pay, if you like. No matter where you are in the world, no matter if it's day or night, act NOW and ensure a high score in IELTS. "Yes, Simone! I am ready to stop struggling with my IELTS preparation and have my score maximized by Target Band 7". Access to 4 chapters filled with tips, techniques and advice on the Listening, Reading, Writing and Speaking modules of IELTS. These modules will walk me step-by-step through my exam preparation. A complete IELTS practice test. The test includes Listening, Reading, Writing and Speaking sections, a Listening recording and transcript showing the answers in sentences, a sample Speaking test recording with a transcript and an examiner's commentary explaining the estimated band score. The answers for the test include model responses for Writing Task 1 and Task 2. A study plan that will help me fit IELTS preparation even in my busiest day and the Pocket tips, indispensable for refreshing my memory. FREE BONUS #1: NEW! Get 10 complete IELTS practice tests for download ($40 value). The set includes 10 listening, reading, writing and speaking papers with answers, 10 sets of audio listening materials with tapescripts, 10 example recordings of the Speaking test, model writing tasks by IELTS examiners and more. FREE BONUS #2: "Learn From The Examiner" series ($30 value), 2 e-books on IELTS Writing and Speaking written by a former IELTS examiner to teach you how to avoid simple mistakes that ruin scores of most IELTS candidates. You will discover the exact way to write and speak in an IELTS test to raise your score by at least One Whole Band. FREE BONUS #3: An intensive course on maximizing my IELTS score by creating a positive image in the examiner's mind, 64 pages of tips, techniques and examples. FREE BONUS #4: A full collection of Writing samples, including corrections, suggestions and an approximate Band Score. The samples range from Band 6 to Band 7.5 and include both Writing Task 1 and Task 2. FREE BONUS #5: I can have my Speaking skills assessed with a special 25% discount. I will be guided step by step to help me record myself answering real IELTS questions and the evaluation team will send me a personal report with suggestions how to score higher to my email. I can pay only $5.95 (everyone else pays $8). FREE BONUS #6: A massive 45% discount when sending my writing tasks for assessment. 4 tasks of my choice (essays, reports or both) will be graded and returned fast (in just 24 hours!) by a team of experienced IELTS teachers, including an approximate IELTS Band Score, remarks and suggestions for only $17.60 (everyone else pays $31.95). FREE BONUS #7: The book comes with Simone's dedicated support. I can ask any question I've got, any day, any time and get my answer in less than 24 hours! I can email Simone at simone[at]ELTS-blog.com and expect personal help and advice. I understand that I get to try-out Target Band 7, absolutely RISK-FREE for the next 60 days. And if I am not totally happy with it, I can get a complete 100% refund (and still keep the book and the bonuses). Western Union, Bank Transfer or MoneyGram. Payments made secure through Paypal's secure servers. Once payment has been verified you will be transferred to the download page where you can get the e-book and the free bonuses. In addition, download links will be sent to your email. If you do not receive them within minutes from purchase, please check in your Spam or Bulk email folders for an email from IELTS-Blog and, if found, mark it as "Not Spam". Author of "Ace the IELTS" and "Target Band 7"
" Earlier I took an English exam OET twice but could not clear the writing twice. Then I resourced to IELTS and followed your book. My major problem in writing was comprehension of stimulus and language. Your book helped me in compiling the whole story especially the part where you have advised about for and against points first and then proceeding further. Also, you told about paragraphing and increasing the vocabulary. I followed your suggestion blindly. Target band 7 made IELTS seem so simple that I think anybody can do it. I must admit that you are doing an excellent job-providing such a priceless advice for just about 40 dollars. My best wishes will always be with you. "